Only internal staff are eligible to apply for the role on an attachment basis. You need to be on a continuing (permanent) contract and you need to have worked for the BBC for more than one year and not have been on an attachment in the last 12 months. You will also need permission from your line manager. You can find out more on our attachments page. The BBC Radio is at the heart of the BBC’s news operation in central London, serving tens of millions listeners in the UK and around the world. It provides the news for Radio 2, R3, R4, 6Music and the World Service. Its journalism is trusted throughout the world. Our journalists play a vital role in the newsroom. 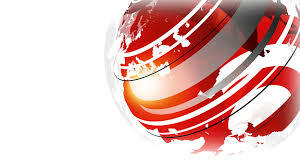 They write and produce the news, working closely with the BBC’s top correspondents. But they are also encouraged to come up with their own story ideas and get them on air. World Service: news bulletins, programmes and podcasts. R4: the news on Today, The World at One, PM and the Six o’ Clock News. Successful candidates will have opportunities to broadcast, both as a reporter and a newsreader so a good broadcasting voice is essential. We are looking to recruit experienced journalists who can produce the news for each of the networks we serve. We are looking for people with ideas to develop the Newsroom’s digital strategy and its presence on social media. .